SKU: GIFT. Category: Gift Certificate. Tag: Gift Certificate. 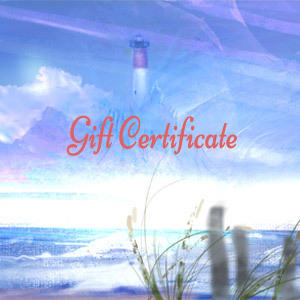 Reward your friends, employees and loved ones with a Gift Certificate to Cape Cod Jewelry online store. If you don’t see the amount you wish to give, let us know and we’ll issue you one for that exact amount. They may be used for any item and carry over the balance till completely gone. Certificates will be be emailed soon after purchase. We can also send it to a designated person by you and assign their own code to the certificate. Let us know if you would like us to do so. Please keep the code in a safe place. Contact us for any other amounts you wish to purchase. Enter the code number in the coupon box during checkout. Cape Cod Jewelry will keep track of any balances, if any, to use again till all gone.